Dates have many benefits other than the amazing taste. These small brown delights may serve to be healthy sweet treat for those having sweet tooth. Adding dates to any desert may eliminate the need of sugar and also add body to it. A single date turns out to be powerhouse of energy as it is nutrient-dense, fiber rich, and loaded with vitamins and minerals. You would find variety of dates based on the place of origin and these dates would differ in terms of texture and taste, but not much in terms of health benefits. Loaded with protein –Protein content in dates is quite high and may help those seeking vegetarian protein. Those undertaking heavy workout or involved in hectic schedule may snack on couple of dates to get instant energy boost along with good amount of protein. Dates may be good source of protein after gym, however one may stick to just couple of pieces as it may also bring along lots of sugar. Dietary fiber –Dietary fiber is bare essential for anybody willing to keep the body cleansed and free of toxins. Adequate fiber intake may drain excess cholesterol and sugar from your system. Having just 1/4th cup of dates may take care of 14% of your daily fiber requirement, which is about 3 g. Another advantage of consuming dates is that it provides soluble fiber that may be helpful in lowering blood sugar, cholesterol, and hypertension. Antioxidants –Dates contain carotenoids and anthocyanins in sufficient quantity. As stated in the Journal of Agricultural and Food Chemistry, dried dates also contain polyphenol. One can add any date variety in their diet to gain the advantages of antioxidants. More antioxidants in diet will prevent Alzheimer’s disease, ageing, heart ailments, and also many types of cancer. Potassium –Potassium has big role to play in human body. It is available in fruits and vegetables. Consuming more potassium will also nullify the ill effects of sodium in the body. Those suffering from hypertension may reduce sodium intake, but at the same time they may increase potassium intake for best results. As per the nutritional data of dates, 100 g of dates may contain 696 mg of potassium that amounts to 20% of RDA. Since, dates have high sugar content, one may also include other sources of potassium in diet. Magnesium –Healthy bones and teeth are result of adequate calcium content in the diet. Magnesium helps in regulation of vitamins and calcium availed through diet. About 5 to 6 dates per day would amount to 4.5% RDA for men and 5.8% RDA for women. Adequate magnesium intake may help in avoiding osteoporosis, depression, cardiovascular disease, and hypertension. It is also quite essential for pregnant women. Dates contain most of the essential vitamins, minerals, and proteins. 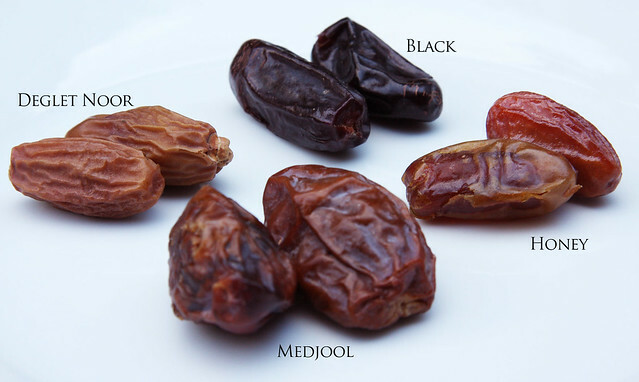 The major advantage of dates is that its nutritional value may remain almost same even when it is consumed dried. Make dates the part of your diet, but avoid too many dates to regulate sugar as well!